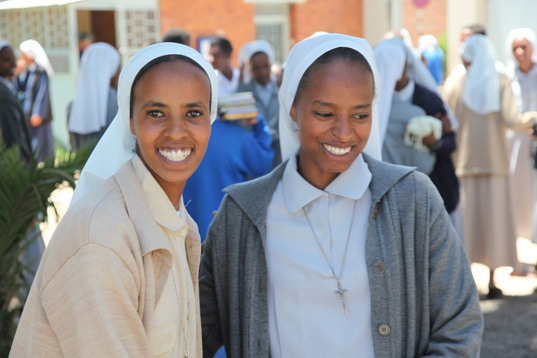 Asmara (Agenzia Fides - FULL TEXT Release) - "In Eritrea, the regime has begun to persecute religious confessions and, in particular, the Catholic Church. The objective is clear: to try to prevent its influence on society: not by prohibiting worship, but social activities". This is the alarm launched by Mussie Zerai, a priest of the eparchy of Asmara, for years a chaplain of the Eritreans in Europe and active in saving migrants in danger in the Mediterranean. «Since 1995 - explains the religious to Fides - there has been a law in force in the country according to which the State wants to carry out all social activities. Therefore, the latter cannot be carried out by private or even by religious institutions. So far, the law has been applied in a bland manner and has not seriously affected the network of services offered by Christians and Muslims. In the last few months, however, there has been an acceleration».